Try as I may I can never skip the post-holiday blues. But hey, the sky in London town today is so blue and cloudless and sunny so at least we can be gently and pleasantly eased ba ck in to our daily duties. But before I stick my head into that stinky case to launder the smalls, I’d like to present a long overdue blog post. 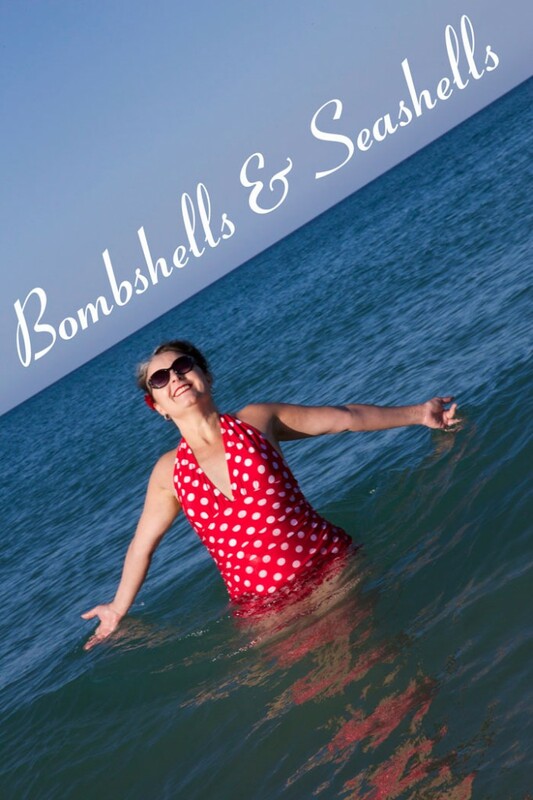 About my bombshell swimsuit. With me in it! I wasn’t sure whether I’d be brave enough to do this and my nerve was duly questioned by work colleagues and family alike, but I have to say, it’s a lot easier when you’re posing on a lovely Spanish beach and not at your local city pool! And made easier still when the cozzie is so modest and flattering. 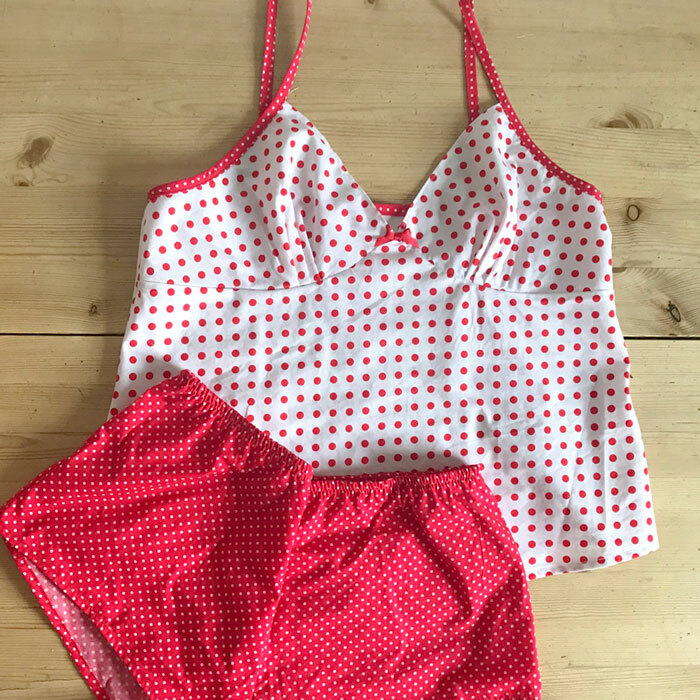 If you Google Closet Case Files Bombshell Swimsuit I hope you will agree that it is such a wickedly clever design that looks great on everyone, any size, any age. 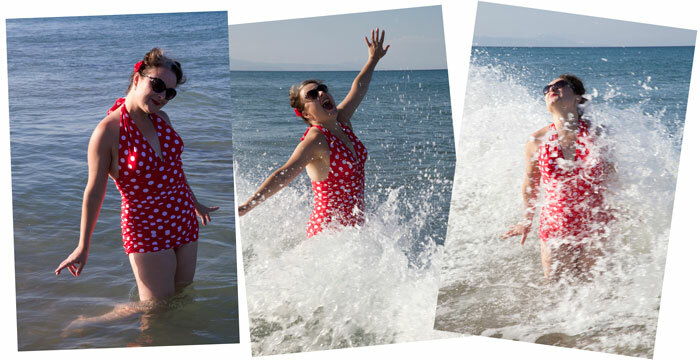 So thank you Heather Lou for your great pattern and for eliminating the usual cringe-factor from my holiday snaps! As near as I live to, and search as I may, I could not find the right cozzie fabric in the Goldhawk Road. One or two shops tried to sell me some spandex but there wasn’t much colour choice and none of the necessary extras I needed, like swimsuit elastic and swimsuit lining. So I braved the rave of the Fabricland website. Go there if you dare (for a fab selection of lycra and spandex), but beware flashing lights and neon starbursts upon every scroll… you have been warned! That said, the service was spot on. I ordered by phone one afternoon, from a lovely, helpful lady and it was delivered the next day. I was busy as some bees leading up to the holiday so I had to make this cozzie in small bite-sized shifts. And I’d be lying if I said I found it a breeze. Stress head and senility probably pl ayed a part in the confusion but I did find it difficult following instructions for one version whilst looking at pictures for the other. The rouching was a bit fiddly and tbh I didn’t really know what I was doing until it all came together, if you know what I mean! It’s not my greatest work. There are flaws, namely in the consistency of the zigzagging. 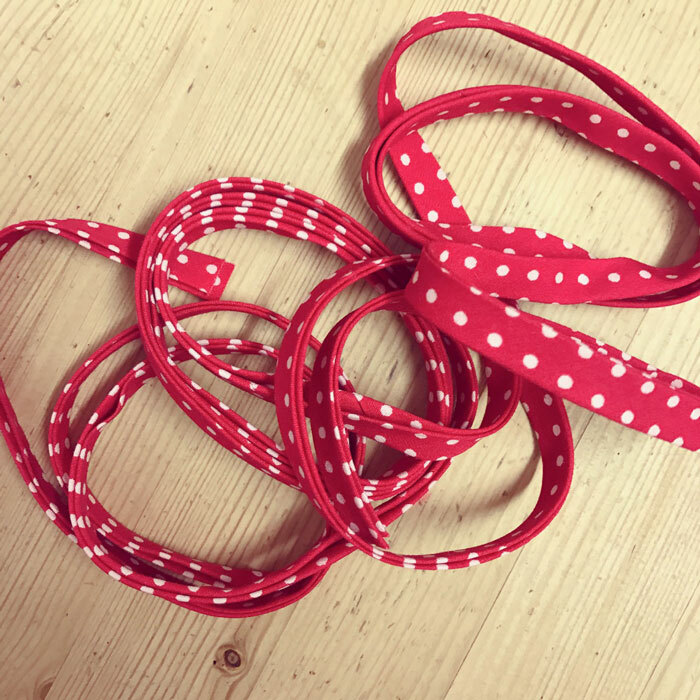 Incidentally, unlike some other lucky sewists who breezed through with an overlocker, my vintage overlocker is of the three-thread kind that just neatens edges and doesn’t sew the seam, so I chose to use the zig zag stitch on my machine instead. This works absolutely fine but leaves the insides looking a bit rageddy. Or maybe I’m just not used to working with stretchy swimsuit garments. Gimme French seams and flat fells anytime! I sewed cups into the halters. I did that just by encasing them and then with some tiny hand stitches to secure them in place. I just knew the icy waters would leave an unwelcome impression on the photos, otherwise! I couldn’t say how long exactly this took me to make, because I did it over three or four days or more but I would guess about 5 hours. Longer than I’d anticipated. But worth it. I bought some black swimsuit fabric to make another but just didn’t get enough time to make the two. 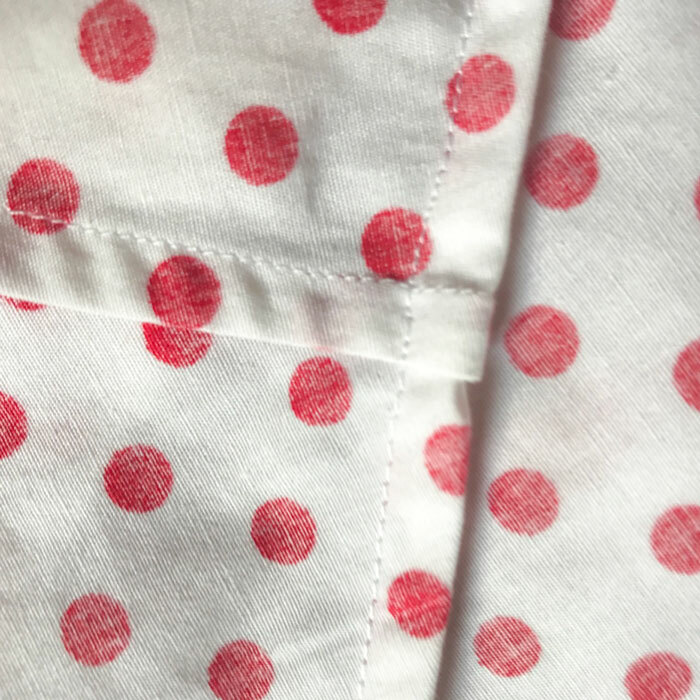 The red and white polka dot seemed more apt for a Spanish holiday in any case. I will make another and I will make a few changes. Namely: making the elastic a bit tighter round the leg holes and adding a little bit of length to the body. I will also take more care with the topstitching, especially round the front, where it notices. And I will probably overlock the stitching after I’ve sewn the pieces together. Dan was of course the fantastic photographer but my son took these next two which are priceless. Oh the glamour. Oh how he laughed! We were staying in the pretty town of Denia, just south of Valencia, on the east coast of Spain. The locals were lovely and very patient with our pigeon Spanish! It was very very peaceful. Out of season, I guess. And I really didn’t expect the weather to be so fab. 24-28 degrees mostly. It’s amazing how much better I feel for some sun on my skin… and a week of no work. Dan got up at silly o’clock most mornings to climb Mount Montogó so that he could get some pics of the sun rising over the sea. He wasn’t disappointed. For anyone who’s interested, I’ll be sure to point you to them once he has selected his favourites. OK. I think my time is up. Thanks for visiting. Cozzie’s off. Apron’s on. Hasta la próxima, mis amigos!